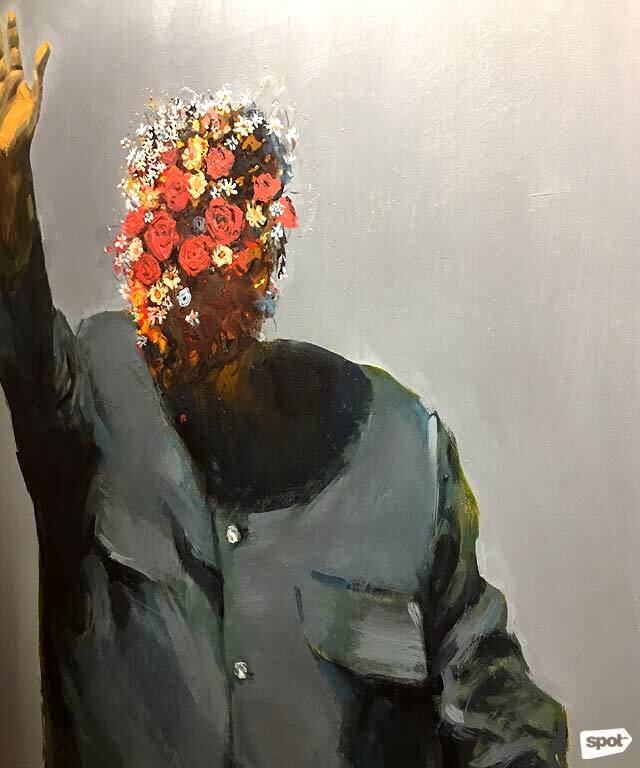 The exhibit is ongoing at three different venues. (SPOT.ph) Travel to any Southeast Asian nation and it's almost impossible not to find any connection to the Philippines. This can be as simple as a childhood memory you share with a stranger, a common story in our history books, a similarity in the flavors of our dishes and even cuisines, or related customs and traditions. Even a natural calamity like a typhoon is, unfortunately, a reason to connect—who can forget the recent flooding in Cambodia, as destructive as the ones we have in the Philippines? 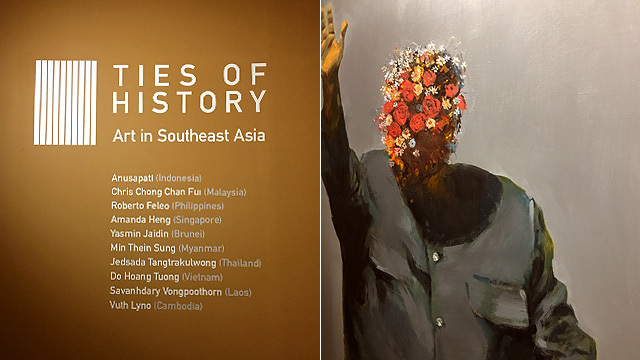 This commonality is brought to life in an ongoing group exhibit called Ties of History: Art in Southeast Asia, which brings together 10 different artists, each representing a member state of the Association of Southeast Asian Nations. Multimedia artist Vuth Lyno takes inspiration from the resiliency of a frequently flooded community in Cambodia. To adapt to their environment and avoid having to leave their homes, residents who live by the riverside build high-stilted houses. 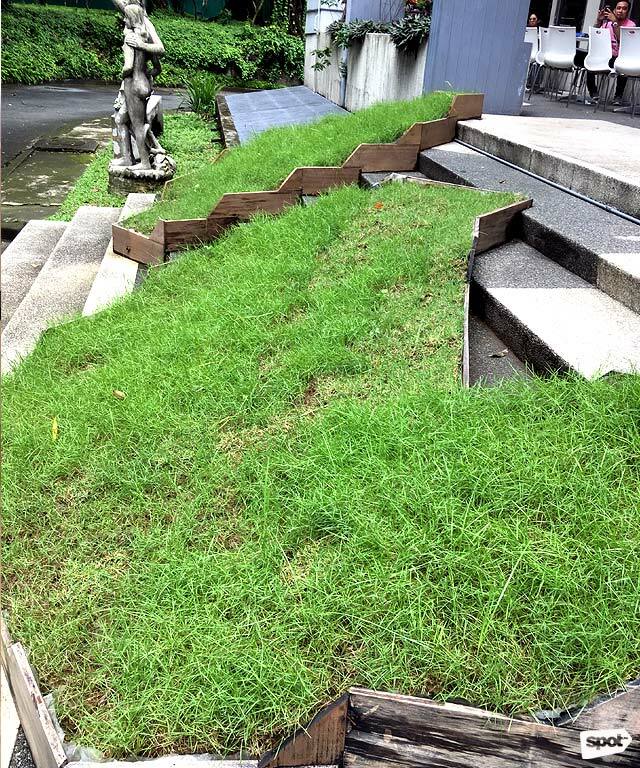 This recalls scenarios of coastal villages in the Philippines, including slum areas by waterways in the Metro. Visual artist Robert Feleo pays homage to his roots by creating the "Tau-Tao" series, which is a collection of life-sized sculptures involving mythological and folk characters. 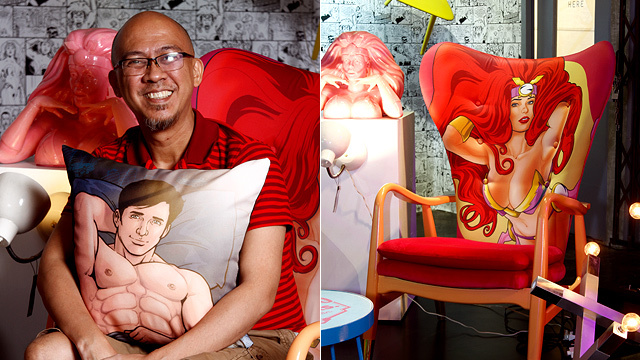 One of the figures draws inspiration from the pre-Hispanic shaman called the babaylan. 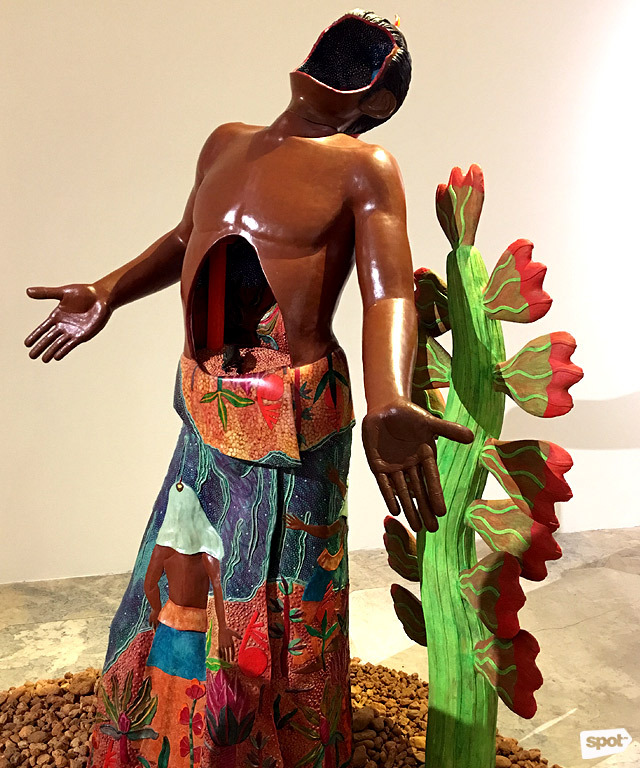 With the head looking up and palms upright, it appears to be either screaming or offering its soul to the sky above—and along with it are glimpses of Philippine tradition and culture drawn in its clothes. 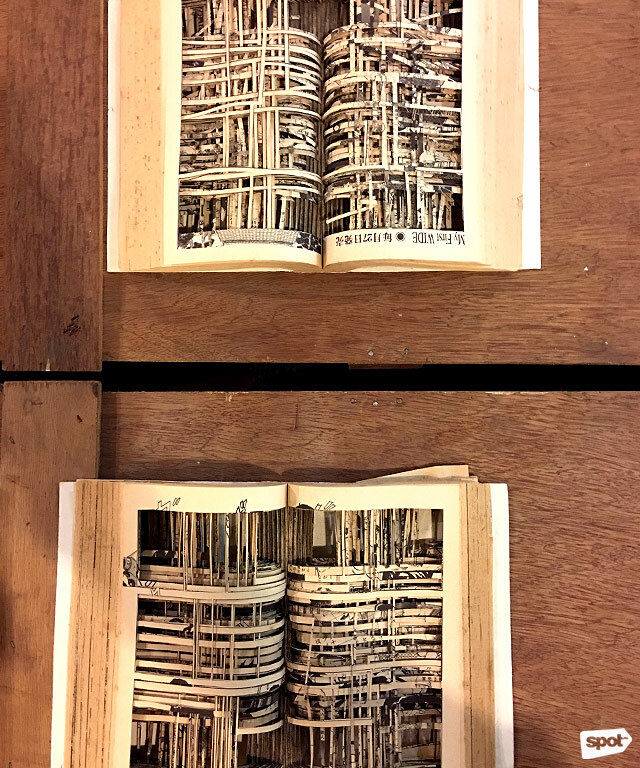 In "Deserted Buildings," Jedsada Tangtrakulwong experiments with the pages of a manga (Japanese comics) by cutting out pictures and leaving only the frame of the comic panels. He puts this together to make them appear like deserted buildings, thus the work's title. 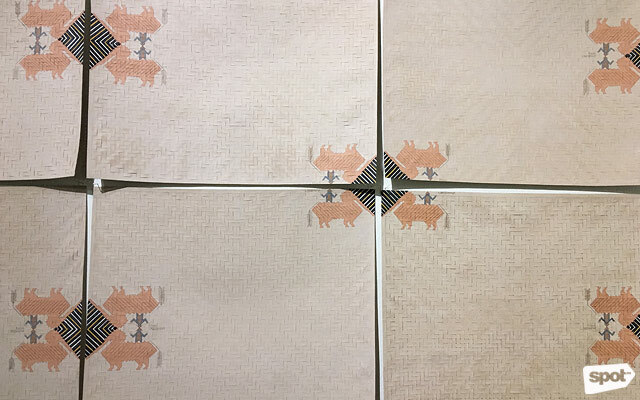 It's a commentary on how readers tend to ignore the white space between words and pictures that are also part of the comic artists' overall intention in telling a story. 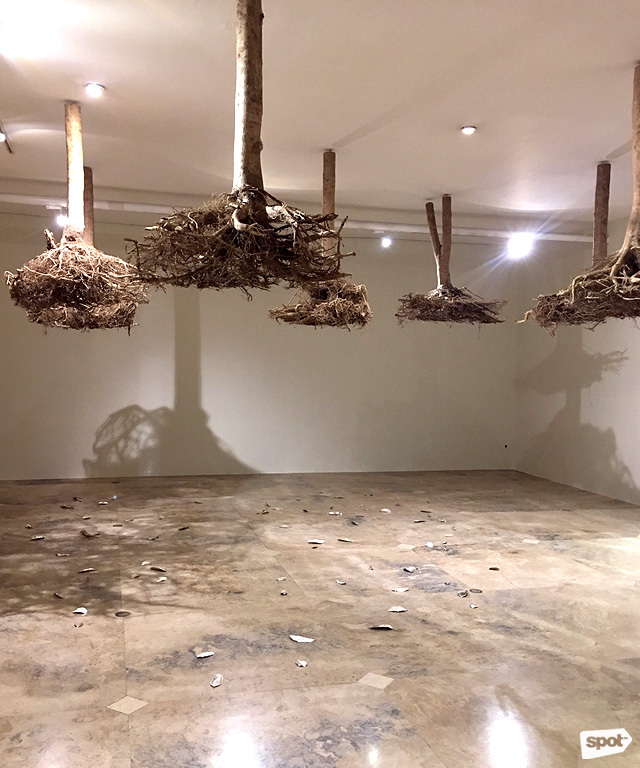 In another work of art called "Downfall," Tangtrakulwong makes a symbolic representation of several Indian Devil trees cut down because of their unpleasant odor. It features a 20-foot metal sculpture forming a shadow of a fallen tree. Decades ago, performance art was discouraged in Singapore after artist Josef Ng staged a controversial pubic hair-snipping in 1994. 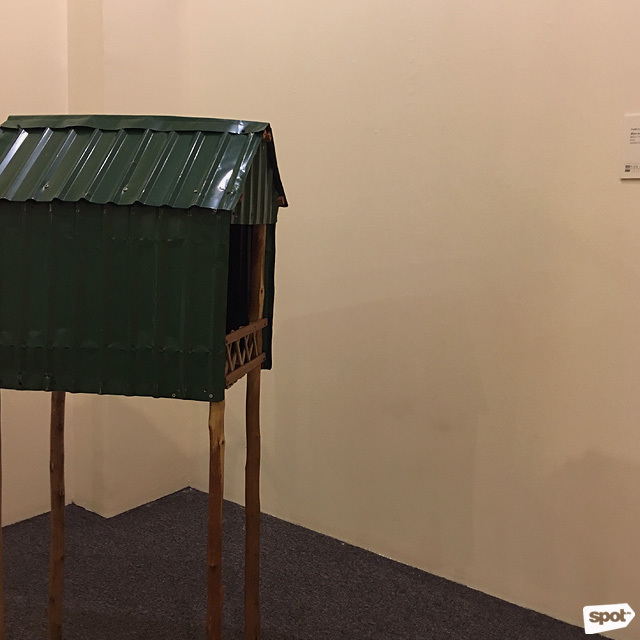 The genre wasn't banned outright, but the lack of government support and funding changed Singapore's art scene forever. 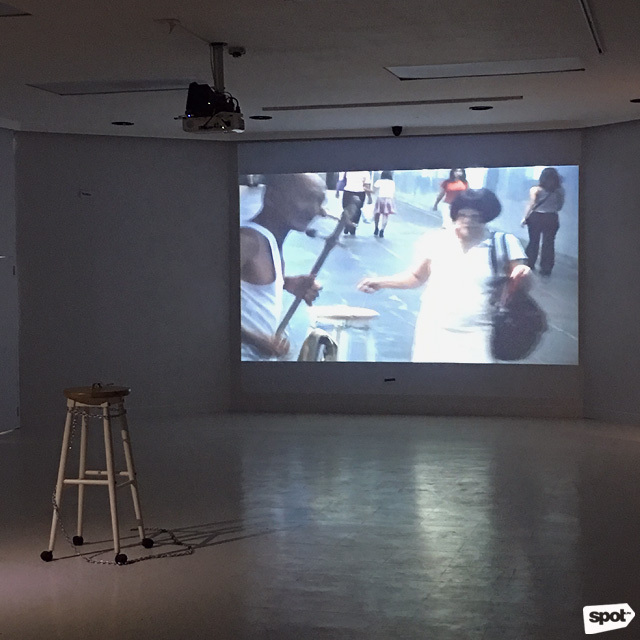 In Ties of History, performance artist Amanda Heng reacts to this period by walking around the streets and public spaces while carrying a stool with a chain. "Another Realm" is a series of soft sculptures in linen, which are modeled after Min Thein Sung's childhood toys. There was a time when Myanmar was closed off to foreign trade and commercial mass production, which included toys for kids. As a result, they would recreate their own toys from whatever material they could find and model them after objects they only see in books and on television. 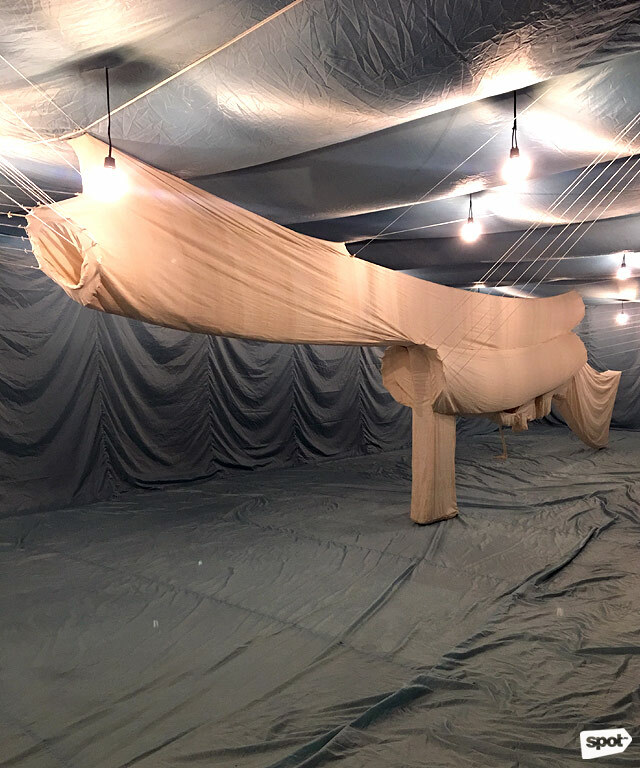 In Savanhdary Vongpoothorn's “Rama was a Migrant,” the artist uses a Vietnam-style of weaving to interpret the tale of Rama Jataka, the Lao version of the epic Ramayana. In "Plantscape," Anusapati presents the sad reality of commercialization encroaching on the world's natural wonders. How many times have we seen beach strips and mountain ridges transformed into tourist attractions that rake in money for private companies? His work features suspended tree roots hanging from the ceiling and silver-plated leaves scattered on the floor. 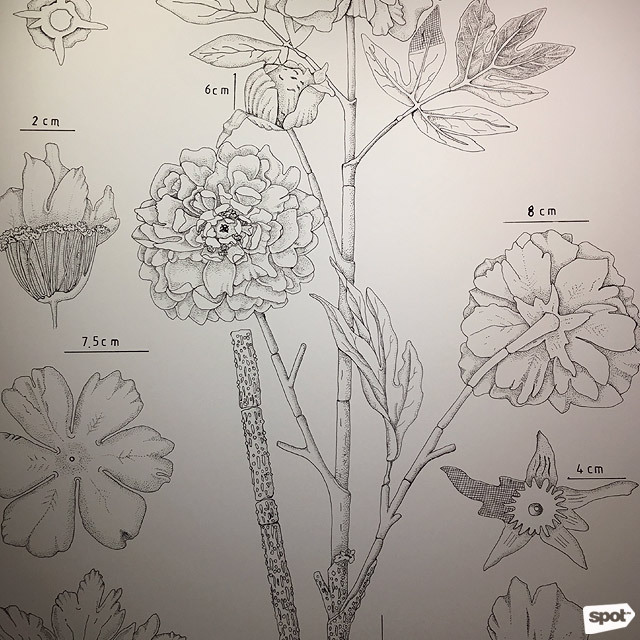 In "Paeonua Lactiflora," visual artist and filmmaker Chris Chong Chan Fui plays up the parallelism between living and non-living things, such as in using botany (technical rendering with measurements) to illustrate plastic flowers. 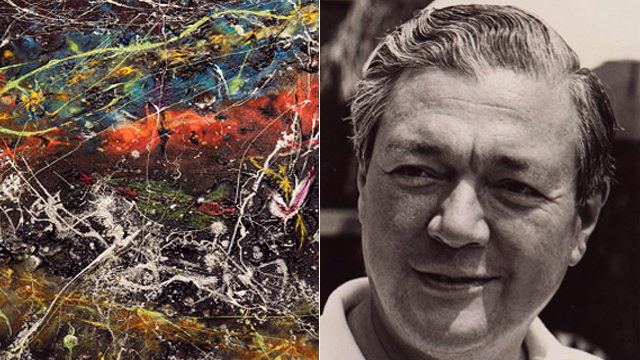 It supports the artist's belief that nature shouldn't always be romanticized because as much as it should remain pure, there are times when it just isn't. 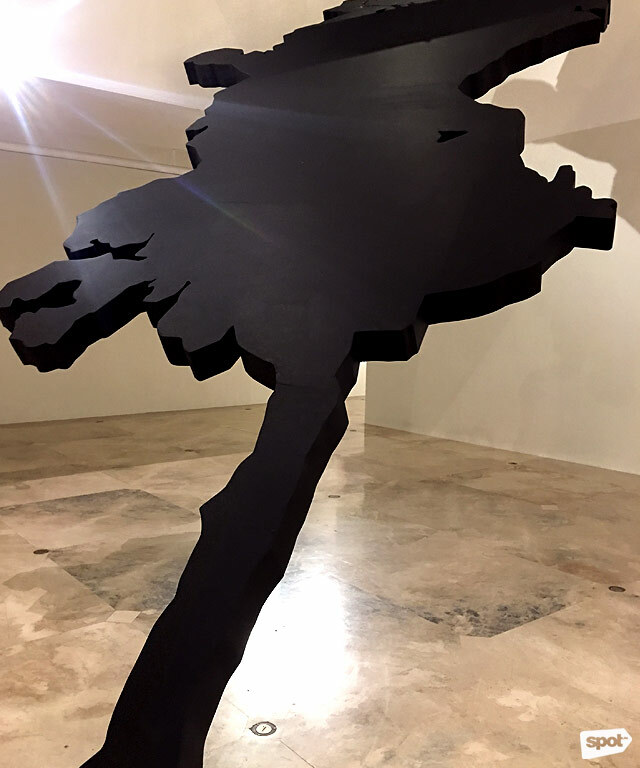 Installed at the entrance of Vargas Museum, Yasmin Jaidin's soil sculpture that illustrates the islands off Brunei may go unnoticed—which is probably the main intent of the artist. She experiments with raw materials such as sea salt, sugar, and grass—all of which have cultural value among Asian countries. 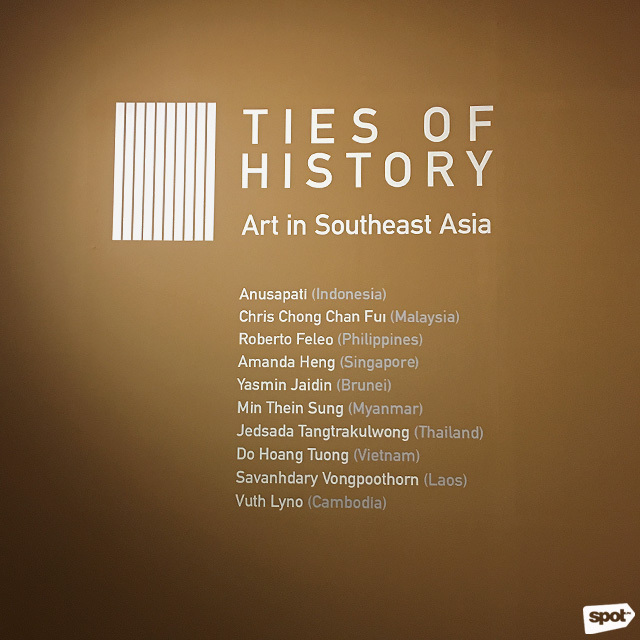 Ties of History: Art in Southeast Asia runs until October 6 at the Metropolitan Museum of Manila, Bangko Sentral ng Pilipinas Complex, Roxas Boulevard, Malate, Manila; Jorge B. Vargas Museum and Filipiniana Research Center, Roxas Avenue, University of the Philippines - Diliman, Quezon City; and Yuchengco Museum, RCBC Plaza, Ayala Avenue corner Senator Gil J. Puyat Avenue, Makati City. For more information, follow Ties of History on Facebook and Instagram.